Sloane Stephens of the US reacts with her winning cheque after defeating compatriot Madison Keys during their 2017 US Open Women’s Singles final match at the USTA Billie Jean King National Tennis Center in New York on September 9, 2017. After an all-American women’s U.S. Open semifinal, Sloane Stephens became the champion on Saturday in a match that even Serena Williams said she was excited to watch. The 24-year-old beat Madison Keys in two sets to win her first major final. 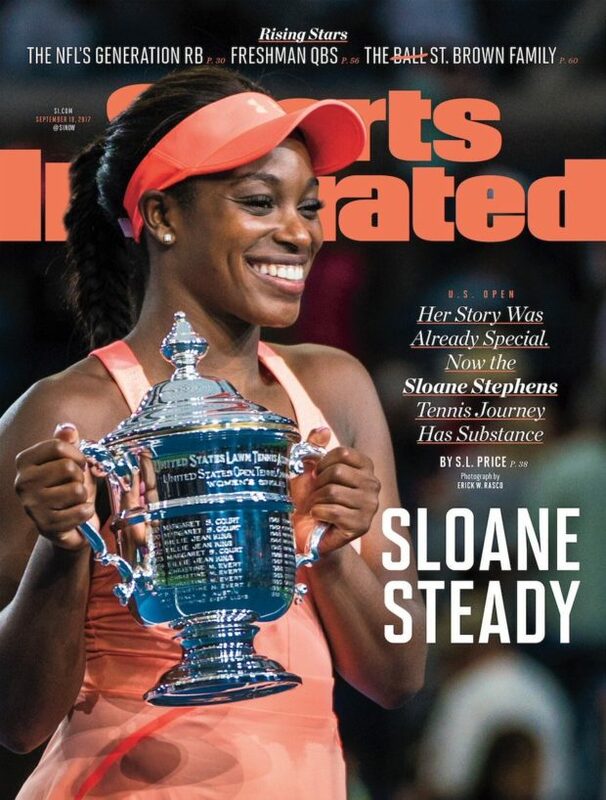 However, Stephens’ immediate reaction to winning was very mild considering everything she went through to get here. There was no screaming and no fist pumping. She simply covered her mouth as if at a loss for words before flashing a huge smile. Although, she did dominate the match, so it wasn’t too shocking of a victory.